California lawmakers have passed a bill that gives confused cities and towns a hand in permitting energy storage and expediting requests, as the state positions to give energy storage a large cash infusion. At the heart of the new law, AB 546, are best practices that aim to help local officials who are unfamiliar with permitting energy storage. It’s likely local governments will need that help because they’re expected to be flooded by thousands of requests for small, behind-the-meter storage in response to incentive money available through the Self Generation Incentive Program. The state has dedicated 79 percent of the SGIP’s $567 million budget (through 2019) to energy storage, and the program now includes a residential component. 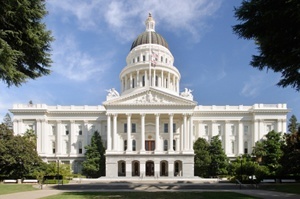 The new permitting law sets deadlines for cities and towns to make available online all the forms associated with permitting projects and to allow electronic filing of permits, said Alex Morris, director of policy and regulatory affairs for the California Energy Storage Alliance, which sponsored the bill. Larger cities and towns must do this by Sept. 30, 2018, and all jurisdictions must meet this requirement by Jan. 31, 2019. AB 546 also instructs the Governor’s Office of Planning and Research, in consultation with the State Fire Marshal and other stakeholders, to create the best practices handbook. These stakeholders are required to provide information about establishing permit fees. The jurisdictions are required only to charge for the price of permitting and aren’t allowed to inflate the price to make money, said Morris. Other states will be able to adopt parts of it or borrow from it for their specific situations, he added. And that could help remove “inadvertent” permitting barriers across the US, Roberts. said. California regulators recently doubled incentives offered under the popular SGIP program, singling out energy storage as a major beneficiary. Now state investor-owned utilities are required to collect $83 million annually between 2017 and 2019 for the SGIP. The program has been on hold for many months, and will open up in rolling steps. “Stem has found that most California cities and counties permit customer-sited energy storage in widely diverse processes with a wide range of permit fees. Developers spend a great deal of time with repeated travel to provide materials in-person, to submit ‘wet stamps’ on minor revisions of plans, to complete reviews by unrelated agencies, and so on,” said Polly Shaw, Stem’s vice president of regulatory affairs and communications. The bill will expedite the permitting process without sacrificing safety reviews, she said. Posting documents online, requiring cities and towns to accept electronic submissions—rather than in-person submissions—and requiring more consistent processes and fees will all contribute to speeding up the process, she said. In addition, the bill could cut the costs associated with permitting storage in half. That’s because the California Office of Planning and Research will be required to educate cities and towns about the most recent storage-related codes, standards and best practices. “We find that when a city or county gains experience with storage permitting, it gradually reduces the currently disparate and confusing processes to only the most relevant steps and fees; putting documents and steps online similarly speeds the process and cuts unnecessary costs,” said Shaw. The need for expedited energy storage permitting is also driven by policies other than the SGIP program, Shaw noted. The California Public Utilities Commission has mandated that utilities acquire 1,325 MW of storage to be completed by 2020 and implemented by 2024. AB 2868 also required investor-owned utilities to accelerate widespread deployment of energy storage, she said. When California regulators in April doubled funding for the SGIP program, they cited the benefits of energy storage for reducing greenhouse gas emissions, promoting market transformation and providing grid support. They allotted to energy storage 85 percent of the new funds. 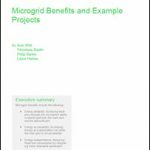 Ninety percent of the funding went to projects larger than 10 kW and 10 percent of the funding went to projects less than or equal to 10 kW. Initially, the SGIP program funds were allocated on a first-come, first-serve basis and the process was like a “cat fight,” said John Sarter, CEO and founder of Off the Grid Design, developer of the Sol-Lux Alpha nanogrid project, which received SGIP funding. The program was changed and is now a lottery, with submissions placed in buckets based on their performance, especially their ability to reduce greenhouse gas emissions. Can permitting energy storage be improved in other ways? Post your thoughts in the comments below or on our LinkedIn Group, Distributed Energy Resources.